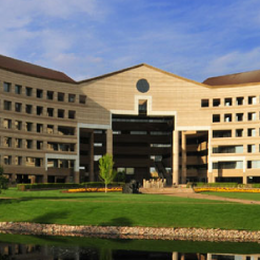 Although FCNM operates in one state and interacts with the Secretary of State office in the course of its lien business, it also must deal with filing offices from county to county. The previous process was highly manual, and the lack of an integrated system often resulted in many repeated one-off tasks. Finding out which filings are about to expire or have already been terminated used to mean going into each filing one at a time. Manual data entry also offered opportunity for errors. “Any time you have manual input, it becomes diluted over the years,” says Marilyn Cannady, Vice President of Operations for FCNM. With iLien, instead of manually typing a name, the staff can simply select the appropriate name from a drop-down list in iLien. Collateral templates allow staff to save language that describes the asset being secured with the filing, ensuring that the preferred language is used to describe the particular type of asset. “Once the collateral description is input, it remains constant and the next time you don’t have to go back and input that information again, as you would if you were going to the Secretary of State. It’s there and you can just pull it into your next filings,” says Marilyn. In the course of performing lien searches and UCC and EFS filings, FCNM looks for corporate names and conducts amendments, terminations, continuations and related activities. Different states use different search logic and if search parameters aren’t entered in a certain way, the results may not be fully accurate. Wolters Kluwer’s Lien Solutions provides a single source that enables FCNM to search and file across all the jurisdictions where it does business. iLien automatically matches the search logic of the relevant jurisdictions and delivers comprehensive search results. All of these tools are key to enabling FCNM achieve greater consistency and accuracy while helping to streamline and standardize workflow. Moreover, the implementation process is fairly straightforward. 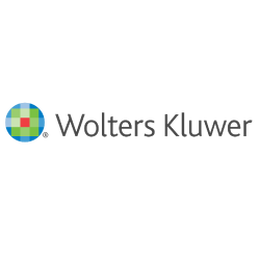 For more information on Wolters Kluwer’s Lien Solutions' iLien or Passkey, please contact Heather Tseng, Passkey Sales and Marketing Manager at Heather.Tseng@fccservices.com or 303.903.8544. Or, join Passkey Partner (formerly the National Discount Program) Wolters Kluwer’s Lien Solutions’ Executive Director, Jeanne Aniton, for an educational webinar about agricultural lien management. This webinar has been recorded so that you may watch at your leisure. You can view the webinar at any time by clicking here.